Make your pizza party a reality! Known for their wide variety of pizzas that have unique flavours and taste, Domino’s Pizza is your best bet! Domino’s Pizza has 31 outlets in our sunny island so you get an expanded range of dining options wherever you are. From choices of crust to multiple delicious flavours, there’s sure to be a pizza flavour to suit everyone’s preference. 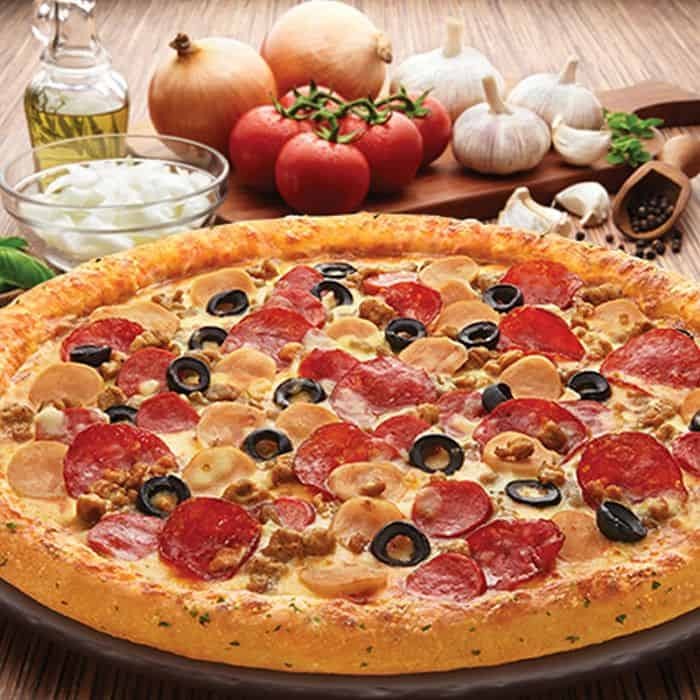 In addition, Domino’s Pizza also has Halal certification by MUIS in Singapore which is a major plus point for Muslim consumers and also assurance when we order in during parties. Lastly, Domino’s Pizza is now available on GrabFood’s food delivery app, so read on to find out what good food you can get delivered straight to your doorstep. Each pizza is handmade when the order arrives and the flavours are amazingly delicious, no matter the choice. If you prefer something familiar, the local favourite Hawaiian Paradise is a perfect choice. For loyal Dominos Pizza fan, our best picks are the Classified Chicken (100% Mozzarella Cheese, Succulent Smoked Chicken Breast, Fresh Onions and Mushrooms) and the Big BBQ (100% Mozzarella Cheese, Succulent Smoked Chicken Breast, Fresh Onions, Green Pepper and BBQ Sauce). For the meat lovers, you should not miss out on Meatzza which comprises of Smoked Chicken Breast, Chicken Ham, Chicken Sausage, Cabonossi, Beef Pepperoni and Ground Beef. Talk about packing a lot of protein in a meal! For vegetarians, you are not left out because the Valenciana Mushroom is as delicious without all the addition of meats. One unique choice Domino’s Pizza offer to their customers is the choice of the crust. Choose from the regular Classic Hand Tossed found in common pizzas, the New York Crust which is a lighter hand-stretched crust and the Crunchy Thin Crust which is light and crispy allowing you to enjoy your favourite toppings. That’s not all! You may top up a small surcharge and switch to Cheesy Sesame Crust or their Cheese Burst crust selections including the BBQ Cheese Burst, Chilli Cheese Burst and Cheese Burst which is mainly two thin crusts or sauces with a layer of creamy cheddar cheese between. Lastly, the Mozzarella Cheesy Crust is also available has the crust is luxuriously filled with melting hot mozzarella coated with Garlic and Herbs. 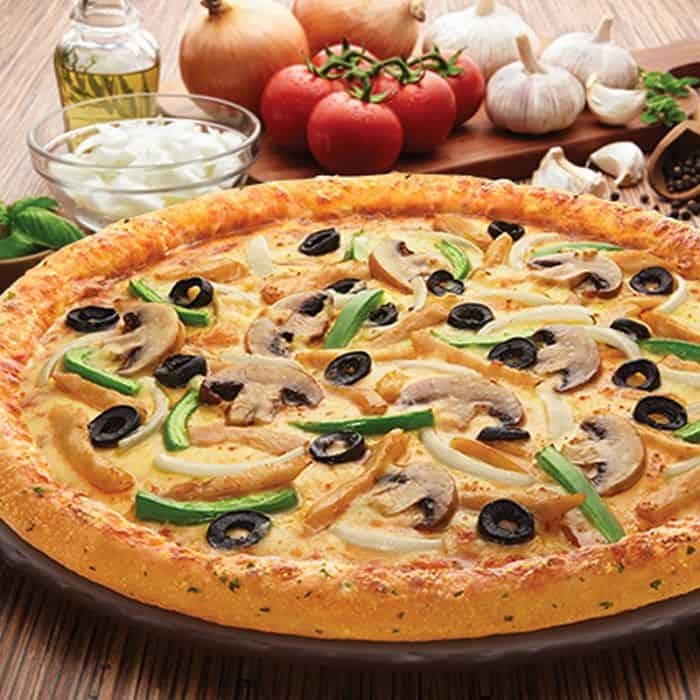 Domino’s Pizza also has other delectable dishes that’ll perfectly round off your meal. They offer their special Crazy Chicken Crunchies. 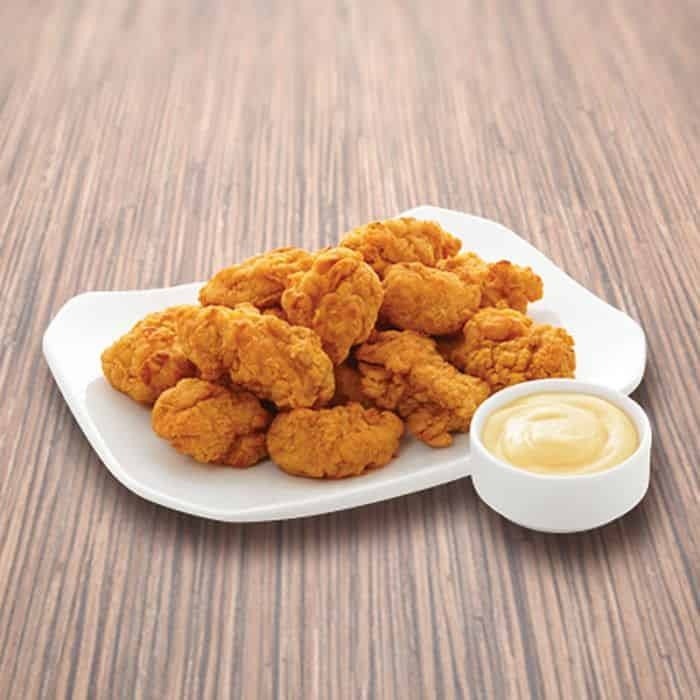 These Crazy Chicken Crunchies are tender cuts of chicken breast that are marinated and breaded before baking them. Other than being a healthier option than deep fried chicken, it is also available in Original and Tomyam flavours. 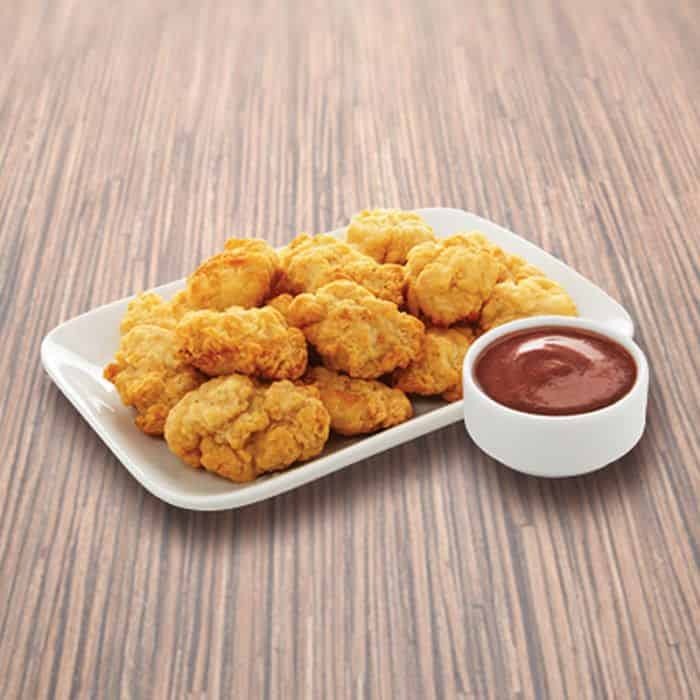 Domino’s Pizza also has other types of chicken, like the Yakitori, chicken chunks marinated in special Japanese sauces and baked to perfection. If you are a fan of chicken wings, the flame baked Toriniku Wings, glazed with honey rock sugar and roasted garlic, are also a must-try. Pizzas are meant for big gatherings and Domino’s understand that perfectly. Hence they have 11 different types of Combo Sets available. Gone are the worries to mix and match pizzas and sides because all you need to do is to choose the set that fits the size of your party. There are set meals specially catered to 2 people and even a party of 10 people. 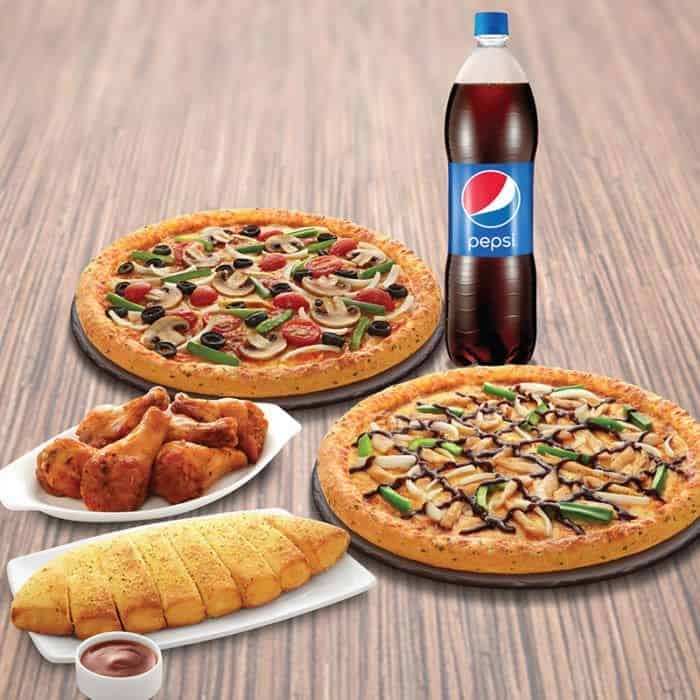 You may choose to mix and match different elements of Domino’s Pizza to best suit your party. If you already prepared drinks, combo 4 will be the most applicable as it has 1 large pizza and an exciting platter of sides. Otherwise, you can opt for the combo sets that include drinks and save on the hassle of heading to the supermarket! Choosing the sets saves you the trouble of scrolling through the menu with preset choices! Getting an individual slice of pizza or choosing a pizza flavour with your friends is no longer a hassle when you make an order at Domino’s Pizza. You’ll truly be spoilt for choice. Make your pizza party a reality with just a few clicks on GrabFood’s pizza delivery service!